We have returned from our 2nd trip with EcoAmerica Tours. This trip we went to Peru, Argentina and Brazil. Erin worked with me on this trip for almost a year getting every detail just right. We had some complications as we got closer to the time and Erin handled it all and fixed what could have been a disaster. Our guides were professional and helpful. Hotels selected were always just right, good value, excellent food and clean pleasant rooms. We did a lot of going from point A to point B and Erin made sure the transitions were as easy as possible. She also worked on making sure both my husband and I had our interests covered. 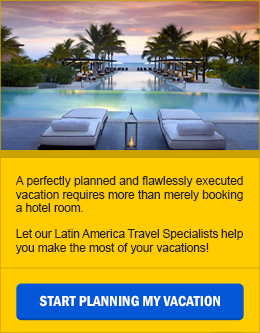 I highly recommend working with EcoAmerica Tours and can’t wait for our next visit to S. America.